When will be Lion Country: Night and Day next episode air date? Is Lion Country: Night and Day renewed or cancelled? Where to countdown Lion Country: Night and Day air dates? Is Lion Country: Night and Day worth watching? Lion Country: Night and Day is an ITV documentary series that offers a ground-breaking and intimate insight into the lives of two lion families in the Zambian bush. Lions are the world's most social cats and their family dramas rival anything seen in a TV soap. This series follows two lion prides in extraordinary detail, following them night and day for six months in South Luangwa National Park in Zambia, one of Africa's last great wildernesses. Young cub Pip's adventurous nature soon gets him into trouble as he wanders away from the pride. A lost, lonely young lion is easy prey for prowling leopards and hyenas. Meanwhile Pip's cousins Ziggy and Prince have troubles of their own. They've survived an attack from a rival male lion, but now their mum Rosa is trying to re-join her pride. Ziggy and Prince's new step-dads are far from happy. The prides have overlapping territories; which means the action and events in one lion family unavoidably ends up affecting the other. 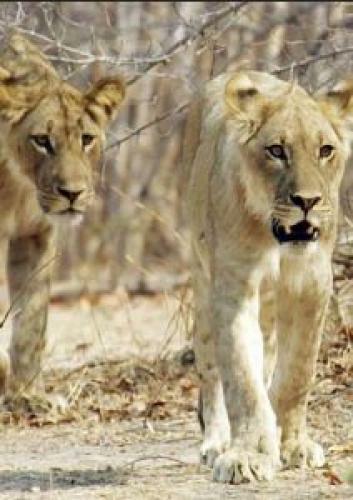 The discovery that ‘Ava', one of the dwindling Hollywood Pride, has a litter of new-born cubs hidden away is great news. However, the trio of ‘Punk' Males that lead the neighbouring pride are expanding Hollywood territory, putting the cubs in immense danger. It's now heading towards the rains, and for young cubs Prince and Ziggy it seems that they may finally have a chance of surviving this perilous and eventful season; against all odds they've been accepted into the pride by their step-fathers. But a jealous aunt takes exception to their presence in the most brutal way, and the brothers face tragedy. Lion Country: Night and Day next episode air date provides TVMaze for you. EpisoDate.com is your TV show guide to Countdown Lion Country: Night and Day Episode Air Dates and to stay in touch with Lion Country: Night and Day next episode Air Date and your others favorite TV Shows. Add the shows you like to a "Watchlist" and let the site take it from there.